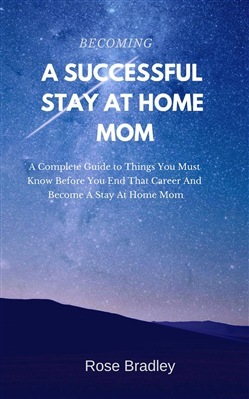 If there is a book n that adequately captures all there is about BECOMING A SUCCESSFUL STAY AT HOME MOM then this book by Rose Bradley cuts the rope. At a stage in every woman's life when she starts building her family, she is likely to find herself torn between looking after her kids herself or employing the services of a caregiver. Babies by their nature require all the love that they can get. Kids require proper parental guidance and so many mothers want to make some level of sacrifice to be sure they are able to provide proper parental care to their kids. One sacrifice that mothers have to make is to leave their job and become stay at home moms. When you have to leave that job of yours to become a stay at home mom, it is only fair you know what you are getting into. You should not make the mistake lots of women made by walking blindly into what is potentially a life-changing decision without as much finding out what the process involves. You will need to read this book if you are: Married and Expectant A mother who is expecting another kid Preparing to get married but want to plan ahead of time Wondering if working is justified when your kids are still young Want to be a better mother to your kids A father who wants to know what to expect with a stay at home wife So, I want to buy this book because I am interested in learning more about becoming a stay at home mom, how does this book help me? What answers do I expect to find inside this book? 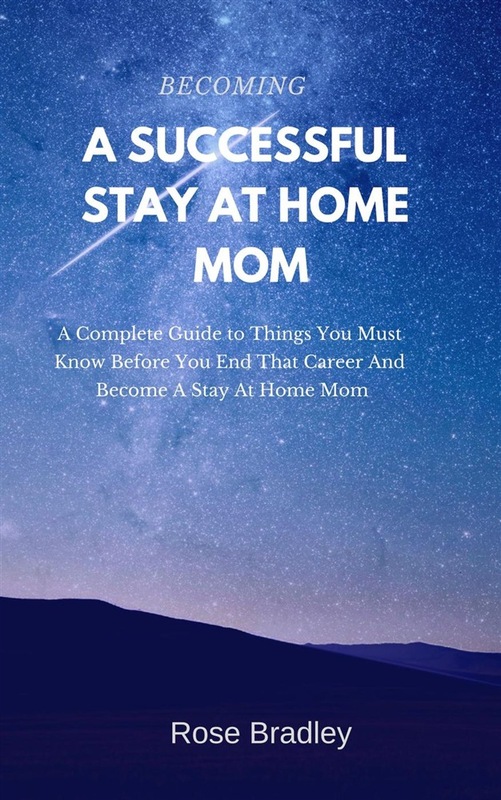 If there was one book that covers everything in one place about becoming a stay at home mom, this would be the book. When you buy and read this book you will learn; Why some women voluntarily and involuntarily decide to be a stay at home mom Some unusual challenges of becoming a stay at home mom that many people ignore, some of which are funny but true It also offers some advice on how best to deal with those challenges It will expose you to what your rights are a stay at home mom It will also suggest to you how best to make use of your time including jobs you can also do You will also learn about other women who set up businesses that became multi-dollar companies while being a stay at home mom This book covers all there is to know about becoming a stay at home mom, which is why you should get it now that you are still contemplating making that decision. Acquista Becoming a Successful Stay at Home Mom: A Complete Guide to Things You Must Know Before You End That Career and Become a Stay at Home Mom in Epub: dopo aver letto l’ebook Becoming a Successful Stay at Home Mom: A Complete Guide to Things You Must Know Before You End That Career and Become a Stay at Home Mom di Rose Bradley ti invitiamo a lasciarci una Recensione qui sotto: sarà utile agli utenti che non abbiano ancora letto questo libro e che vogliano avere delle opinioni altrui. L’opinione su di un libro è molto soggettiva e per questo leggere eventuali recensioni negative non ci dovrà frenare dall’acquisto, anzi dovrà spingerci ad acquistare il libro in fretta per poter dire la nostra ed eventualmente smentire quanto commentato da altri, contribuendo ad arricchire più possibile i commenti e dare sempre più spunti di confronto al pubblico online.